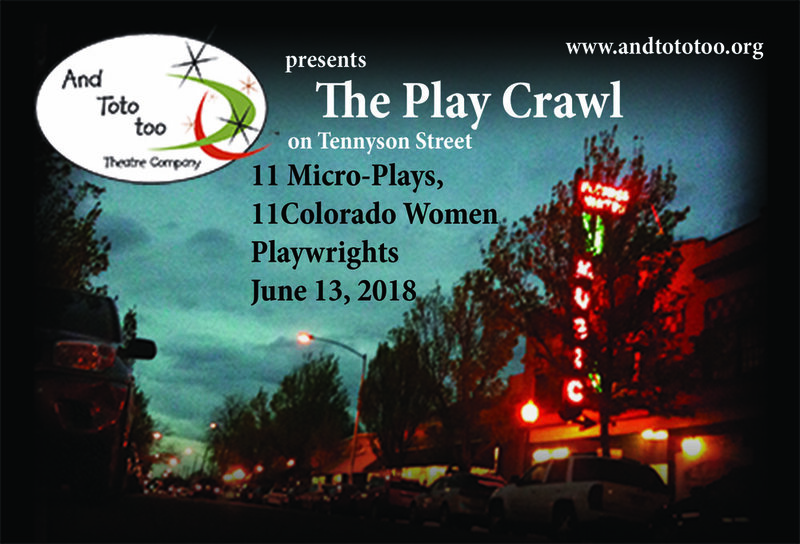 Life's comedies and dramas in superbly crafted small theatrical snapshots - that's what you'll see at And Toto Too Theatre Company's annual fundraiser, the Play Crawl, set in stores, offices and other locations throughout Denver's historic Tennyson Arts District. I'm thrilled to announce that my play Called will be situated at Ohana Yoga & Barre, and is one of eleven short works featured in this year's lineup. The terrific cast of Veronica Straight-Lingo and Julie Kaye Wolf, expertly directed by Kate Poling, is truly sublime. I'd love to see you, so grab a ticket or three and come on out and have some fun supporting a unique and vital Denver performing arts organization.